Temperatures drop to seasonal average, heat becomes less oppressive. After nearly a week of suffocating heat, Israel's temperatures will drop and the oppressive heat will lessen. On Wednesday and Wednesday night, temperatures are expected to be 22-34 degrees Celsius (71.6-93.2 degrees Fahrenheit) in Kiryat Shmonah, 18-29 degrees Celsius (64.4-84.2 degrees Fahrenheit) in Tzfat, 22-36 degrees (64.4-96.8) in Tiberias, and 24-31 (75.2-87.8) degrees in Haifa. 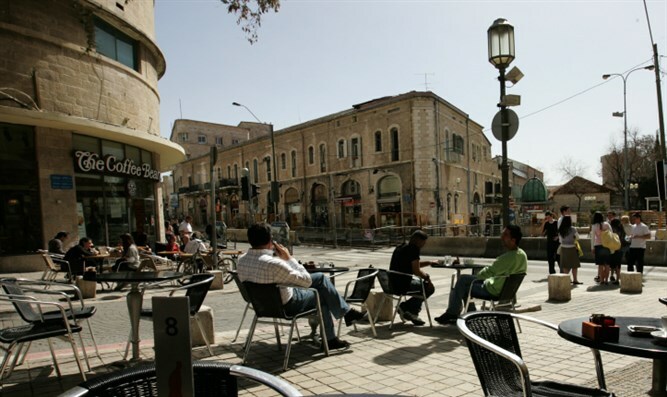 Tel Aviv's temperatures will be between 24 and 30 degrees Celsius (75.2-86 degrees Fahrenheit), while Jerusalem's will be between 17-29 degrees (62.6-84.2), and Be'er Sheva's between 20-33 (68-91.4) degrees. Thursday is expected to be partly cloudy, with temperatures average for the season. Friday will see a slight rise in temperature and become warmer than usual. The weather will be dry in the mountains, and muggy inland. Shabbat (Saturday) will see a drop in temperature, and the heat will become less oppressive.